Using our top of the range Sigma 60 “Dyno” we can test, measure and record the power of your machinery at a location of your convenience. The test is an effectual way of highlighting power problems, oil and water leaks and fuel injection problems, thus enabling our technicians to diagnose faults and prevent under powered machinery from costing you time and money. Contact your local depot Service Manager for more details. LOLER is an abbreviation of Lifting Operations and Lifting Equipment Regulations 1998. It is often referred to as the LOLER regs or LOLER 98. The LOLER Regulations aim to reduce risks to people’s health and safety from lifting equipment provided for use at work. They require visual and functional testing of all load bearing structures e.g. the mast, hydraulics and lifting components. In addition to the requirements of LOLER, lifting equipment is also subject to the requirements of the Provision and Use of Work Equipment Regulations 1998 (PUWER) which cover the truck itself, e.g. the tyres, chassis, steering, safety systems and brakes. If you own or operate a Telescopic Handler, Fork Lift Truck or a tractor fitted with a loader you have a legal obligation to ensure that your equipment holds a report of Thorough Examination which should be carried out annually. Equipment used for lifting people i.e. mobile platforms or lift trucks with attachments need to be examined every 6 months. LOLER tests are one of the many services our certified technicians can carry out for your business, so you can have piece of mind that your machinery is HSE compliant. Please contact your local depot service manager for more details. NSTS is the National Sprayer Testing Scheme within the UK. NSTS tested sprayers are a requirement of UK Crop Assurance scheme. The test itself covers a comprehensive list of 47 items, from Computer control systems, hoses and pipework, nozzles and nozzle control systems, filters, pumps, tank, chemical induction systems and booms. It covers all the components of the sprayer to ensure the machine is working correctly and efficiently with further considerations of safety for the sprayer operative and the environment. Spray testing ensures maximum efficiency of your sprayer and reduces costly downtime, aids traceability and enhances second hand value. Worn or damaged nozzles can be detrimental to your farm input costs. Keep your cool when the heat is on! Our service departments offer a full Air Conditioning Service. Air conditioning units will be given a full system check and service, ensuring the unit is fully gassed for optimum performance. Ask your local Service Manager for more details. Your vehicle is an investment and preventative measures taken now can help to avoid costly repairs and downtime in the future. Here at Peacock & Binnington we offer a vital fluid analysis service to detect problems and prevent engine damage. We have a selection of hydraulic hoses, couplings and adapters to suit all Agricultural or Industrial needs. All of our depots are equipped with hydraulic crimping machines and our technicians can make up hoses tailored to your exact specifications. We also stock everything you need, from a range of Couplers, Inserts, Sealing rings, Dowty Seals, adaptors through to the hydraulic oil itself. Please contact your local Parts or Service Department for more information. Manager Service Plans are available on both new and used AGCO machines. Each plan can be tailor made to the exact specification of your machine and to your unique operational requirements up to 10,000 hours. Professional servicing will be carried out by our expert technicians and comprehensively serviced according to manufacturers recommended intervals. Enhanced resale value with full service and maintenance history. A flexible service plan that can be tailor made to your business requirements. Fixed servicing costs over a period determined by you. 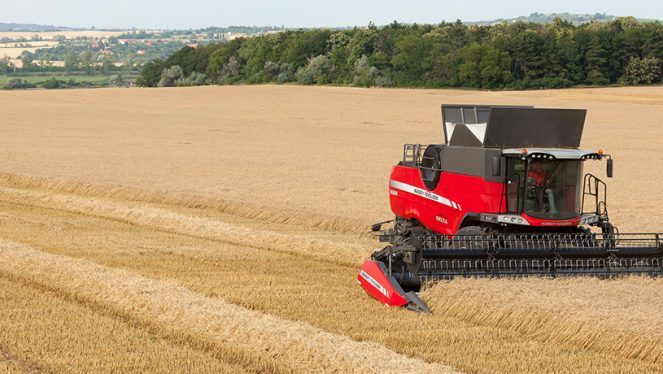 Fully AGCO trained and equipped technicians offer the experience and skills necessary to keep your machine at its peak performance. High quality original parts and materials from AGCO Parts ensure reliability and a long service life. Here at Peacock & Binnington you can be rest assured that your JCB machine is in safe hands. Our JCB trained and fully equipped technicians offer the experience and skills necessary to keep your machine at its peak performance, ensuring you maximise machine up time, productivity, and profitability. Machines need to be dealer serviced and, where fitted have LiveLink active for the duration of the contract period.